Our client, a car parts dealer based in Chicago, USA wanted us to help him with his customer invoice forms which had a lot of fields have to be filled manually. The client wanted a solution where his employees can submit the data about the customer’s car brand, type, and subsequent fields should get automatically populated based on the input. So we decided to develop a solution using Gravity Forms that would dynamically populate specific data in certain fields depending on input from specified fields. We created invoice forms using Gravity Forms as their forms were lengthy and we wanted entries to get saved in a systematic manner and can be used later for future use. We developed a custom plugin on top of Gravity Form that uses various hooks and filters of gravity forms and will check for input on specific fields of forms. When the user selects a certain value from dropdown, the field values associated with the value being selected is invoked. e.g. 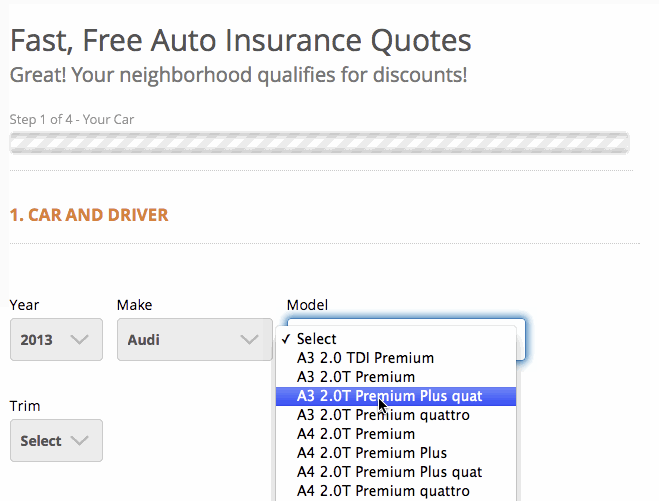 if the user selects Audi R8 for car model, all form fields that require AUDI R8 specifications get filled automatically. These fields values get automatically filled Dynamically based on the choices selected by the user and predetermined specific conditions. saving lots of user’s time. Once the form is submitted, all the details in the specific entry will be saved and can be used for invoicing and filling other forms if required.